There, Eden becomes fast friends with Darcy, a young woman recently widowed by Peter, her wealthy, much older husband. But Darcy is unsettled by her inability to mourn, and more unsettled by recurring thoughts of Adam, a young musician she was having an affair with--who has suddenly vanished. 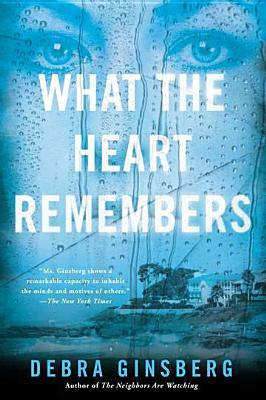 Debra Ginsberg is the author of Waiting, Raising Blaze, and About My Sisters, as well as the novels Blind Submission; The Grift, a New York Times Notable Book and winner of the the 2009 SCIBA T. Jefferson Parkers Mystery Award; and The Neighbors Are Watching, an Indie Next Great Reads pick.